Regular exercise, affection, and socialization facilitates good mental and physical health in dogs. Daily exercise for your dog can reduce the risk of heart disease, digestive problems, urinary infections, depression, stress, and beyond. A tired dog is a well behaved dog! Sometimes dogs demonstrate ‘unwanted’ behavior such as chewing and scratching on furniture, shoes, whining, barking, digging, etc. Lack of exercise can facilitate rambunctious behavior. 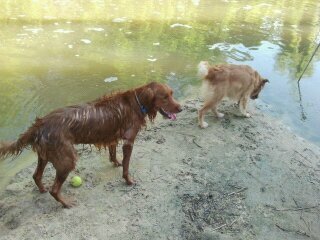 A dog will be less likely to misbehave after a period of exercise with a member from our experienced Houston dog walker team. We serve most areas of Houston and surrounding areas such as Cypress, Spring, and Katy. Our map shows our main dog walk areas but we can usually cover even more! If you do not have the ability to take your sweet baby on walks on a daily basis we want to help! ﻿Give your new puppy an opportunity to be successful by having our sitter stop by midday to let him out to potty. A puppy can not hold his bladder for more than 4 hours until they are 4 to 6 months of age. In the first few weeks that your puppy arrives at your home it is crucial to successful potty training to let them out every 4 to 5 hours so they learn a routine and they will learn to hold it if they know they will get let out often enough. If you crate train your puppy and leave him in the crate for 8 to 9 hours while you work Monday thru Friday, and your puppy has accidents every day, you might be teaching your new puppy that it is OK to potty in the house! We are here to help. If your dog can not "hold it" through your work day, just needs more exercise, or you work long shifts, let us pop in and take them for a walk so they don't have accidents in the house. We can come any time of day or night. 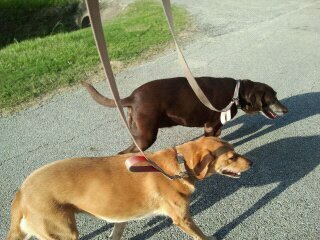 We typically do daily dog walking between 11 am and 2 pm but we can do an evening dog walk if you work night shift, or 2 times a day for puppy training. Angel Pet's dog walkers can keep your pet’s weight down with exercise. Overweight dogs are more susceptible to health problems as well as becoming prone to depression and anxiety. They also live shorter lives. Dogs and owners can get into inactive routines. Maintain your dog’s healthy weight through our services. 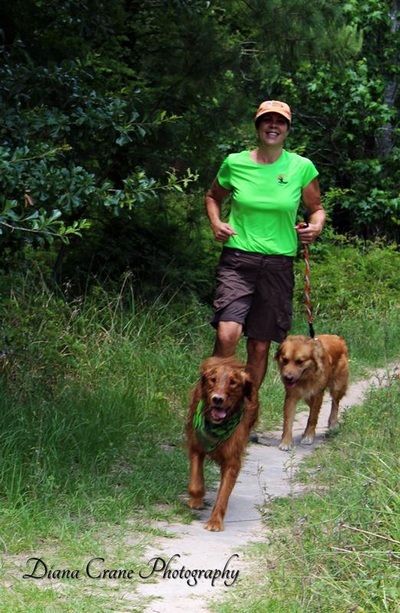 Normal physical activity can positively influence a dog’s confidence. Like humans, dogs feel great from a consistent routine of regular exercise. 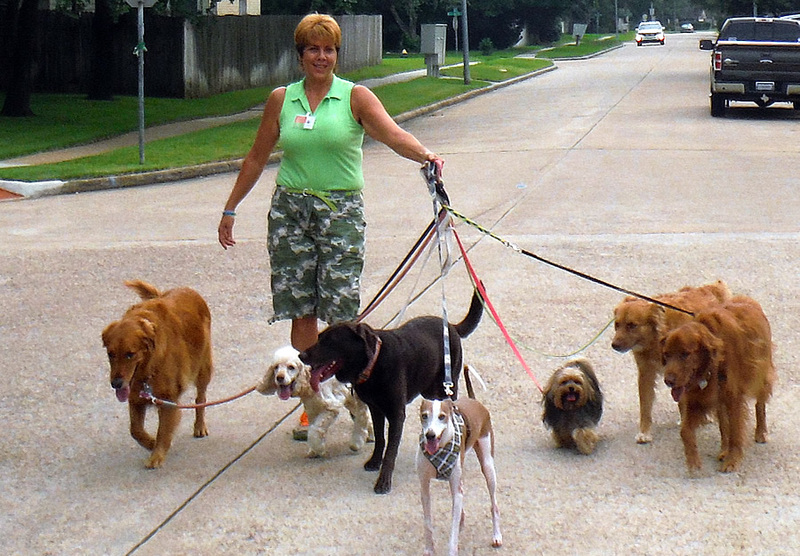 Our daily dog walking service can facilitate your loved one’s happiness. In addition, taking a stroll around the neighborhood can help to socialize shy dogs! 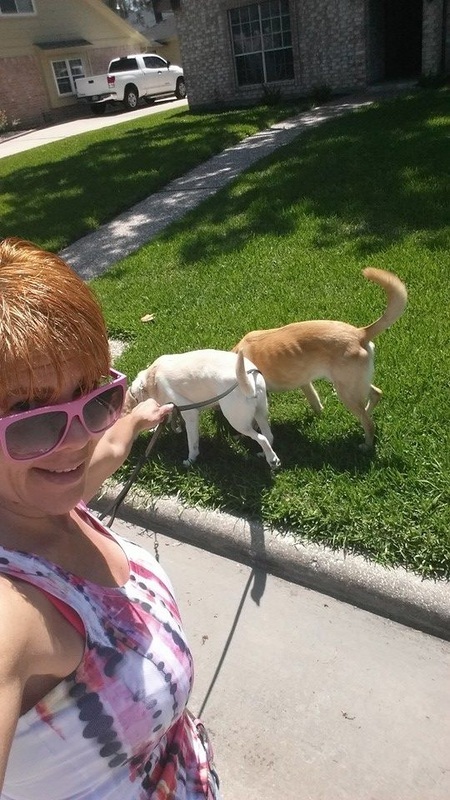 We tailor our Houston dog walker services around the uniqueness of our owners and pets. A healthy number of walks, briskness of the dog walking, and time / length of each walk is determined by your dog’s age, weight, breed, anecdotal information, time of year, etc. 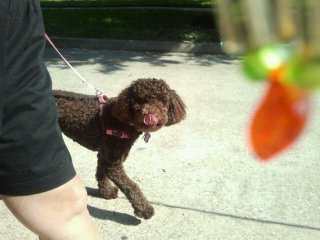 We will make a recommendation for your dog walking schedule at the free initial consultation. Interested in something more vigorous for your dog? 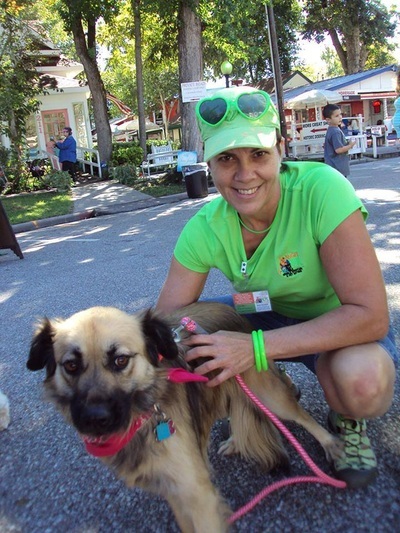 Ask us about dog running! 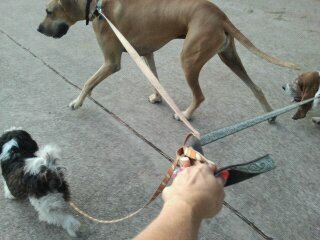 We typically walk your dogs alone, not in a pack. Angel Pets gives me piece of mind on a dialy basis. Tiffany and her staff visit my house every day to let my dogs out. Tiffany also notices when their nails need trimming and does that for me as well. This is a HUGE help to me since they won't be still for me to do it....she does an amazing job!! Very very happy with Angel Pets services. 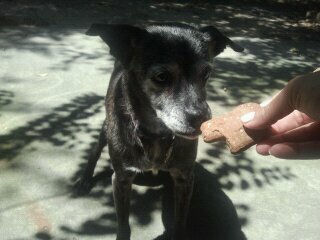 Tiffany and Angel Pets staff have been our saving grace with our 15 year old dog, Kaya. 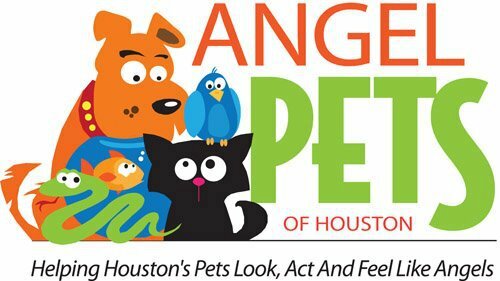 My husband and I have been using the daily visit services of Angel Pets for almost a year and we love everything about the company. From leaving personal notes about Kaya when letting her out each day to cleaning up when she does have an accident to trimming Kaya's nails without even being asked and also the in home boarding we use too when we travel, the services they provide are impeccable. They truly care about animals and it is very evident in what they do. A big THANK YOU to Tiffany and her staff!